Alex Ovechkin and the Washington Capitals finally won their ever first Stanley Cup after defeating the Vegas Golden Knights last year. They return a largely similar squad this season. Our 2018 Washington Capitals Season Preview examines the possibility of this team repeating as Stanley Cup champions. 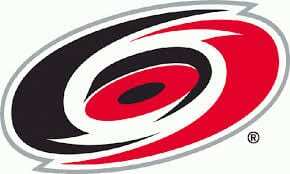 One thing we do know, they wil be highly competitive in the Metropolitan Division. The Washington Capitals’ core forwards will look mostly identical to the group that won the Stanley Cup last year. 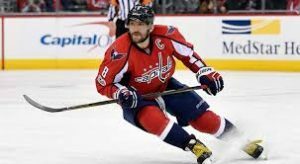 Alex Ovechkin, despite entering the season at 33 years of age, has yet to show that he is slowing down. He won his seventh Rocket Richard trophy scoring 49 goals while leading the Caps in points with 87. He will be a constant threat again this season and should be a contender to lead the NHL in goals for an eighth time in his career. Evgeny Kuznetsov and Nicklas Backstrom give Washington a great pairing down the middle of the ice. The two centers finished second and third on the club in scoring last season, putting up 83 and 71 points respectively. They and Backstrom were both instrumental in the Cup run as well. Kuznestov led the league in playoff points, scoring 12 goals and 20 assists in 24 games. Backstrom was third with 23 points in 20 postseason contests. Both are elite playmakers, and will make Washington’s top two lines very dangerous. 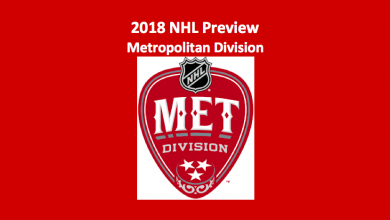 Our 2018 Washington Capitals season preview observes they both should help drive the Capitals’ offense towards the top of the NHL. 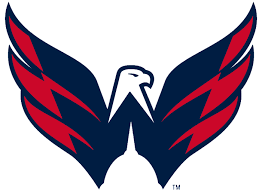 Wingers TJ Oshie, Tom Wilson, and Jakub Vrana will be key forwards for the team as well. Oshie was vital to the Caps’ cup run, averaging over 20-minutes a game and recording 21 points in 24 playoff games. He has the ability to both put the puck in the net as well as contribute defensively. Wilson is coming off of signing a six year 31-million-dollar contract. He brings a unique balance of soring ability and grit to the lineup. Hi 250 hits were fourth among all NHL players last season. Vrana had 13 goals and 27 points in his first full NHL season. The 13th overall pick in the 2014 NHL Entry Draft has the potential and skill set to increase upon these totals in the 2018-2019 season. John Carlson had a career year in 2017-2018. The US born blueliner led all NHL defensemen in points 68, while playing almost 24:47 minutes a night. He has blossomed into one of the elite D-men currently in the game and will contribute heavily in all three zones this season. Dmitry Orlov and Matt Niskanen will be important to Washington’s D-corps as well. Orlov had 10 goals and 31 points while plating in all 82 games last season. He was second on the team in time on ice, playing just over 23 minutes a game. Niskanen averaged 22:36 minutes a night while putting up 29 points in 68 games. He was the team leader in plus-minus as well finishing the regular season at +24. Christian Djoos, Brooks Orpik, and Michal Kempny round out the club’s blueliners. All of three defenders played well last year. This 2018 Washington Capitals season preview sees each as playing supplemental roles to the club’s top three D this season. Braden Holtby had a rough 2017-2018 regular season, which culminated in him getting benched by the end of the year. His 2.99 GAA and .907 save percentage were both the worst of his career. He looked to re-find his footing in the playoffs though, leading the franchise to their first ever Stanley Cup victory. In his 23 playoffs contests, Holtby had a 2.16 GAA anda .922 save percentage, and made a ton of big saves to keep Washington in games throughout the postseason. Holtby has elite level talent and was able to recover from the rough patch he went through last year. Expect him to have a good season this year. Our 2018 Washington Capitals season preview finds the Capitals’ goaltending did take a hit. That happened when they traded backup Philipp Grubauer to Colorado. 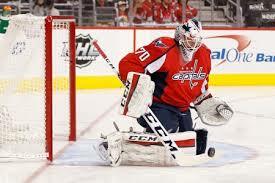 Grubauer played very well and allowed the Caps to keep their season rolling when Holtby struggled. This year’s backup is projected to be Pheonix Copley. He has only played in two career NHL games and had a rough 2017-2018 season in the AHL. As a member of the Hershey Bears he had a .896 save percentage and a 2.91 GAA in 41 games. He will be a question mark for Washington this season. Overall the Capitals look very similar compared to last year. This 2018 Washington Capitals season preview notes that they have an almost identical core group of forwards and defensemen from their Stanley Cup winning squad. Their biggest question mark will be backup goaltender Pheonix Copley, but it is a relatively small issue considering the way Holtby finished the playoffs. 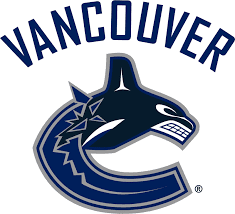 Washington should be viewed as a quality team this season.